Welcome to our links page. On this page we list some web pages that we think would be of interest to you. If you have a favorite web page that you think our visitors would benefit from, please email the URL of the web page to the webmaster at ortv. 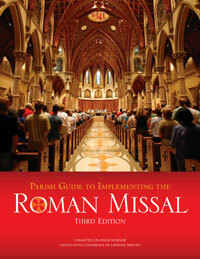 For more details about changes to the Roman Missal, that were effective with the start of Advent 2011, click on the graphic at left. Check out Jerry Kristafer’s appearance on WTNH-TV’s CTStyle program on February 2, 2015 here. The Office of Radio & Television provides links to other websites solely for the user’s convenience. By providing these links, the Office of Radio & Television assumes no responsibility for, nor does it necessarily endorse, these websites, their content, or their sponsoring organizations.